I recently read The Bell Jar by Sylvia Plath. I read a lot of books and I don’t comment on very many of them on this blog, or even bother to update my Goodreads half the time unless I think I will have something to say about the book. I have something to say about this book. I had heard of this book, knew of it for a very long time, but just never came across it in my travels and it was on my ‘books to acquire’ list for a while before I finally stumbled across it on a trip to Durham, North Carolina and an awesome little bookshop called Letters. It came all the way home to Canada with me and then sat on my ‘to read’ shelf. I finally cracked it open. 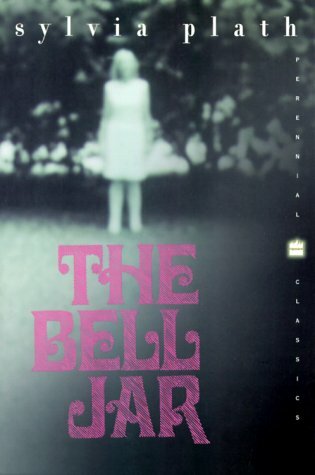 The Bell Jar isn’t a very long book, and it is the only novel Sylvia Plath, a poet, ever wrote. To be perfectly honest, I didn’t find it all that extraordinary, though I did find it very interesting. It is impossible to read this book without the looming shadow of Sylvia Plath’s suicide hovering over it. She committed suicide the month after the book was published, she was only thirty years old. I found all of this incredibly sad. 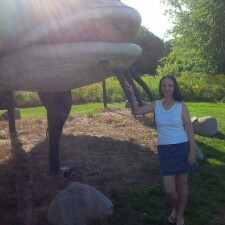 Her successes, failures, the fact that she had two small children and had just published her first novel. The dichotomy between that success and her death is intriguing and very sorrowful. It is incredible, and terrible, to me that someone could accomplish something so great and still end their own life. That for me really gave meaning to the word tragic. “The reason I hadn’t washed my clothes or my hair was because it seemed so silly. I saw the days of the year stretching ahead like a series of bright, white boxes, and separating one box from another was sleep, like a black shade. Only for me, the long perspective of shades that set off one box from the next had suddenly snapped up, and I could see day after day after day glaring ahead of me like a white, broad, infinitely desolate avenue. It seemed silly to wash one day when I would only have to wash again the next. It made me tired just to think of it. For the record, I do wash my clothes and hair, but I identify with how it seems pointless sometimes and she captures that beautifully. The Bell Jar is a very sad book, but it is also entertaining, witty and brave. As someone who is prone to questioning the path society has laid out for them, I had no trouble at all boarding the main character Esther’s train of thought as the stifling bell jar slowly settled around her. For most people that distorted, encompassing feeling comes and goes at different times, but doesn’t take up permanent residence. For Sylvia Plath, it did, and when you read this book, you wonder if she always knew that it would. * The edition cited in this blog is Plath, Sylvia. The Bell Jar. New York, HarperCollins Publishers, 1999.